The Chehalis Basin Fisheries Task Force would like to invite you to join our efforts for producing salmon for sport and commercial fisheries; enhancing steelhead and cutthroat trout resources; and restoring, enhancing, and protecting stream habitat critical to these anadromous species. Our organization was established to bring diverse interest groups together with the common goal of enhancing fisheries resources. Currently, membership includes recreational, tribal and commercial fishermen, concerned citizens, businesses, environmental organizations, economic development interests, organized labor, local government entities, and natural resource agencies. Membership dues are vital to the ongoing work of the Task Force. 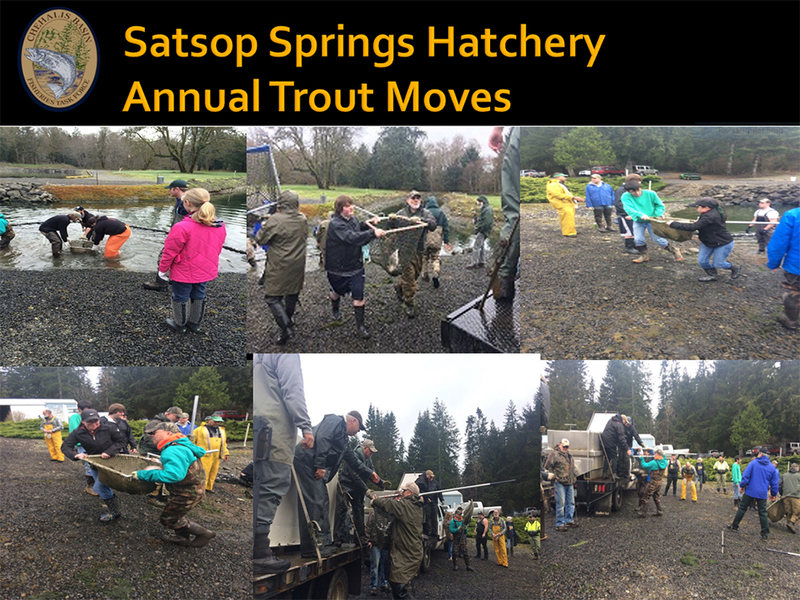 Today in the Chehalis River 85% of hatchery Coho, 100% of hatchery Chinook, and 100% of hatchery Chum available for harvest come directly from or are dependent on projects funded by the Chehalis Basin Fisheries Task Force. Just follow the membership form, fill out and send, along with your contribution to the address listed at the bottom of the form. Volunteers are extremely valuable assets to our organization! There are many ways to volunteer with the Chehalis Basin Fisheries Task Force. We have a wide range of opportunities for individual volunteers and community groups. Persons who are interested in becoming involved with CBFTF efforts are encouraged to apply. For more information on volunteering, please contact us at: (360) 482-2347 or cbftf@reachone.com.